Beautiful photo, Oklahoma up, or China down! 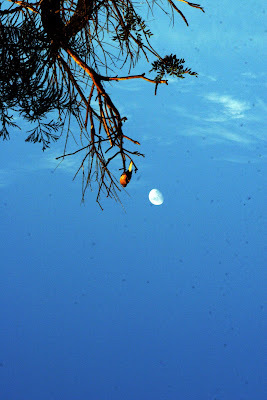 Blue Sky and the moon - how cool is that? Great shot. P.S. : You seem to have a serious case of sensor dust - you should check! TR, a stunner here and marvels of the nature up there! Now that is a well framed shot with such great color! When I bigified it there are speckles all over it, was it raining? Another smile for me reading this post! I really enjoyed your photo and your writing! Have a wonderful weekend! Nice shot. Thanks for the laugh about upside down people. Very touching poem and very nice photos! Have a beautiful week-end! That a nice post, with the two moons. I notice from your schedule that you'll be seeing the China view soon. Lovely photo & poem. Reminds me of when I was in New Zealand & I literally had to look at the night sky upside down for it to make sense in my brain. Oh, very beautiful and clever! !